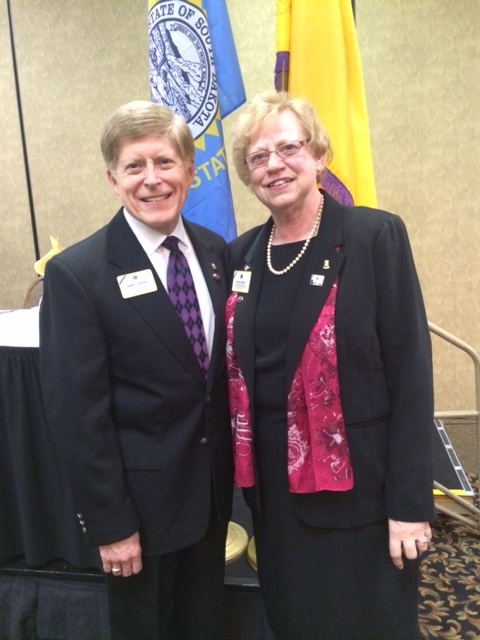 Kathy and I just returned from the South Dakota State Lions Convention held this past weekend in Rapid City. 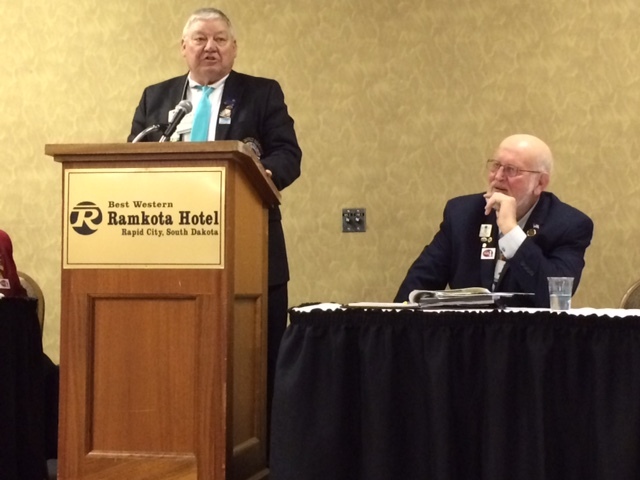 Attendance at this convention represented our on-going support for the district leadership teams in Multiple District 5; but it also provided an opportunity for me, as Multiple District 5 convention chairperson, to extend a personal invitation to the Lions of South Dakota to attend the MD5 Convention set for May 28-30, 2015 in Fargo. 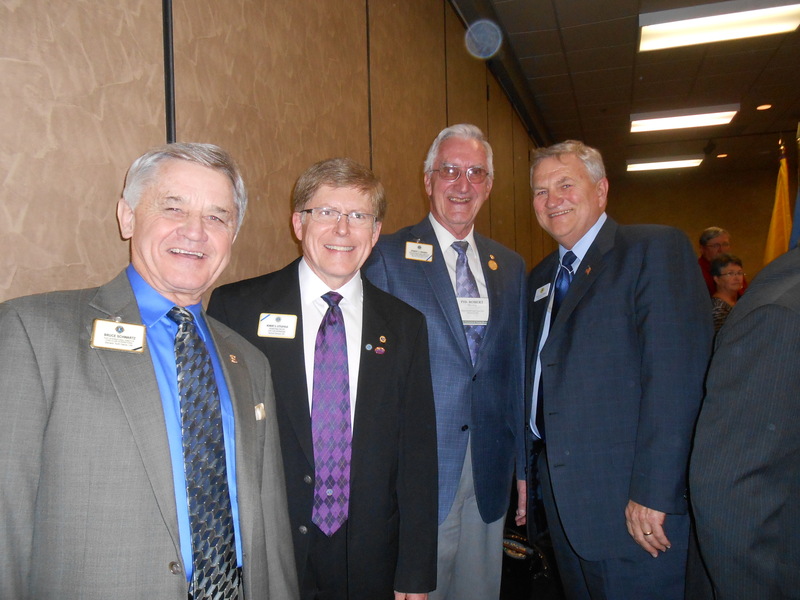 Many of our South Dakota Lion friends extended their warm greetings to us as we attended the cabinet and business meetings, programs, the memorial service, and banquet. 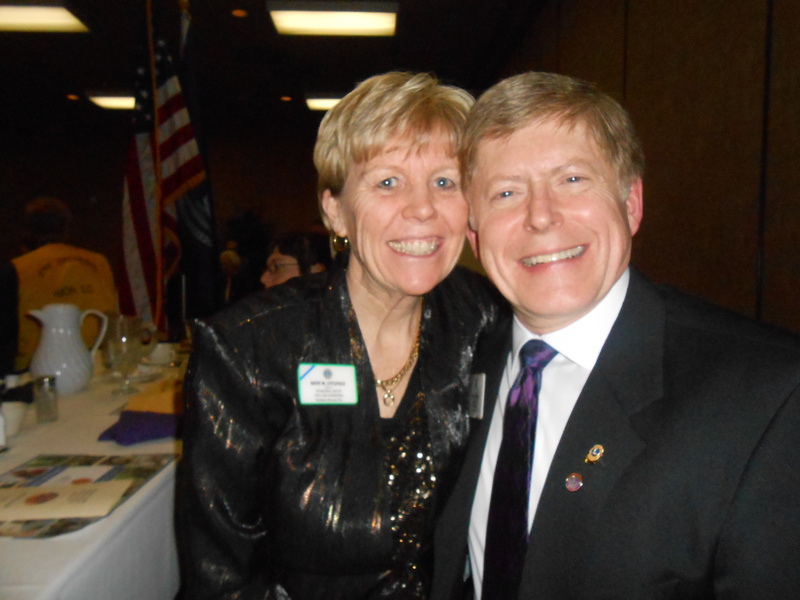 The international guest for the weekend was ID Esther LaMothe from Jackson, Michigan. Kathy and I enjoyed being able to spend some time with ID Esther and her traveling companion, Linda Babcock. International Directors are not often at the same place at the same time (other than at board meetings), so this convention gave us a chance to strengthen our friendship in Lionism. In addition to ID Esther and me, three past international directors also attended: Robert Drabek (SD), John Dahm (SD), and Bruce Schwartz (ND). ID Esther commented that she rarely has spoken at a convention with as many PIDs in attendance. As an added feature of the program, and at the invitation of the convention committee, the ID/PIDs from MD5 were invited to lead the singing of the National Anthem at the breakfast and banquet events. Pictured here (l-r) are PID Bruce, ID Robert, PID Robert, and PID John. It was a special moment for us to share and Kathy captured our pleasure in this photo. Qusi insisted that every Middle Eastern immigrant to the US shares that same objective. While the monumental challenges–socially, intellectually, and culturally–of graduating with an engineering degree were constant and profound, he was successful. His experiences were shaped in the most positive ways through the kindness, friendship, and generosity of his classmates and their families. Qusi maintains that the parents of his friends included him as family in their holiday traditions and welcomed him into their homes. Qusi married and followed his wife to South Dakota where she taught on the Pine Ridge Indian Reservation. Quasi completed his degree in electrical engineering and taught in various schools, including the South Dakota School of Mines and SDSU. Currently, he serves on the staff of U.S. Senator Thune from South Dakota. In addition to the regular convention program, the South Dakota Lions Hall of Fame induction occurred at the convention; and PDG Wanda Mitchell of Hill City Lions (5SW) became the newest member of the Hall of Fame in the Past District Governor category. PDG Wanda served as District Governor when I was MD5 Council Chair in 2011-2012. 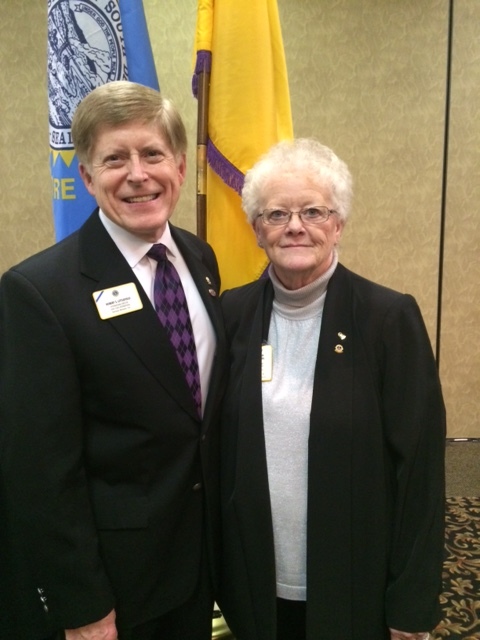 Kathy and I were so pleased to be present when she was recognized for her contributions to Lionism in South Dakota. District Governor Julaine Ariant-Rollman was the presiding officer at the majority of the events, as DG Dennis Van Asch (5SE) was absent for health-related reasons. DG Julaine is a poised leader who continues to demonstrate that “you’ll never know ‘til you’ve tried” (Preston, 2014). At the state meeting, the incoming District Governors for 2015-2016 had an opportunity to share their thoughts about the upcoming year of service. Both 5SW VDG Chuck Edwards (left) and 5 SE VDG Jerry Voss (right) are excited for the opportunity but have some reservations about the uncertainty of what lies ahead. ID Esther and DG Julaine assured them that their year as District Governor would be among the best of their lives. One of the best parts of conventions is being able to reconnect with Lions as friends. Some of our friends are facing personal health challenges; others are transitioning in and out of positions of leadership and responsibility. Taking some time—albeit briefly—to check in with our friends and share stories of family and life experiences made this visit to Rapid City worth its weight in Black Hills gold.